Unrelated Business Income Tax (“UBIT”) is often misunderstood by self-directed IRA investors and their professional advisors. In essence, UBIT is a tax that is due to an IRA when it receives “business income” as opposed to “investment income”. When we think of IRAs and retirement accounts, we think of them as receiving income without having to pay tax when the income is made. For example, when your IRA sells stock for a profit and that profit goes back to your IRA you don’t pay any tax on the gain. Similarly, when you sell real estate owned by your IRA for a profit and that profit goes back to your IRA, you don’t pay any tax on the gain. The reason for this is because the gain from the sale of an investment asset is deemed investment income and as a result it is exempt for UBIT tax. UBIT applies when your IRA receives “unrelated business income”. However, if your IRA receives investment income, then that income is exempt from UBIT tax. Investment income that is exempt from UBIT includes the following. Interest Income, IRC 512(b)(1) – Interest and points made from the lending of money is investment income and is exempt from UBIT. Capital Gain Income, IRC 512(b)(5) – The sale, exchange, or disposition of assets is investment income and is exempt from UBIT. Dividend Income, IRC 512(b)(1) – Dividend income from a c-corp where the company paid corporate tax is investment income and exempt from UBIT. Royalty Income, IRC 512(b)(2) – Royalty income derived from intangible property rights such as intellectual property and from oil/gas and mineral leasing activities is investment income and is exempt from UBIT. There are two common areas where self-directed IRA investors run into UBIT issues and are outside of the exemptions outlined above. 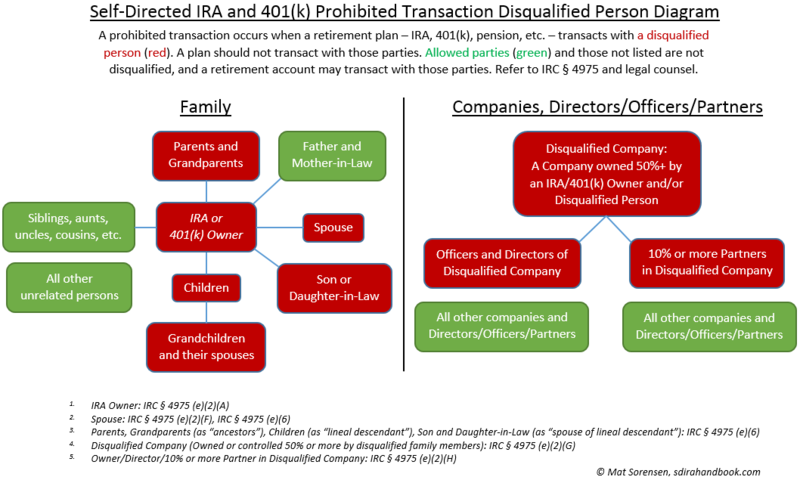 The first occurs when an IRA invests and buys LLC ownership in an operating business (e.g. sells goods or services) that is structured as a pass-thru entity for taxes (e.g. partnership) and that that does not pay corporate taxes. The income from the LLC flows to its owners and would be ordinary income. If the company has net taxable income it will flow down to the IRA as ordinary income on the k-1 and this will cause tax to the IRA as this will be business income and it does not fit into one of the investment income exemptions. The second problematic area is when IRAs engage in real estate investment that do not result in investment income. For example, real estate development or a number of significant short-term real estate flips by an IRA will cause the assets of the IRA to be considered as inventory as opposed to investment assets and this will cause UBIT tax to the IRA. UBIT also applies to an IRA when it leverages its purchasing power with debt. If an IRA uses debt to buy an investment, then the income attributable to the debt is subject to UBIT. This income is referred to as unrelated debt financed income (UDFI) and it causes UBIT. The most common situation occurs when an IRA buys real estate with a non-recourse loan. For example, lets say an IRA buys a rental property for $100,000 and that $40,000 came from the IRA and $60,000 came form a non-recourse loan. The property is thus 60% leveraged and as a result, 60% of the income is not a result of the IRAs investment but the result of the debt invested. Because of this debt, that is not retirement plan money, the IRS requires tax to be paid on 60% of the income. So, if there is $10K of rental income on the property then $6K would be UDFI and would be subject to UBIT taxes. For a more detailed outline on UDFI, please refer to my free one-hour webinar here. Unrelated business income tax (UBIT) for an IRA is reported and paid via IRS Form 990-T. IRS Form 990-T is due for IRAs on April 15th of each year. IRA owner’s can file and obtain an automatic 3-month extension with the IRS by filing an extension request before the regular deadline. If UBIT Tax is due, it is paid from the IRA and the IRA owner would send the prepared Form 990-T to their IRA custodian for their signature and for direction of payment to the IRS for any tax due as part of the 990-T Return. For a more detailed outline of UBIT, please refer to Chapter 15 of The Self Directed IRA Handbook. Your IRA can buy real estate using its own cash and a loan/mortgage to acquire the property. Whenever you leverage your IRA with debt, however, you must be aware of two things. First, the loan your IRA obtains must be a non-recourse loan. And second, your IRA may be subject to a tax known as unrelated debt financed income tax (UDFI/UBIT). This comprehensive webinar explains the non-recourse loan requirements, as well as the non-recourse loan options and goes into detail on how UDFI tax may be applied and how it is calculated. Below are the slides from the presentation as well as the recorded video presentation of the webinar. Note that page 27 in the pdf slides below was up-dated from the webinar as I made a calculation mistake on the debt owed. The final tax numbers were still correct though. Thanks to Roger St.Pierre, Sr. VP at First Western Federal Savings Bank for co-presenting the topic with me. Comprehensive Webinar: Buying Real Estate with Your IRA and a Non-Recourse Loan Mat Sorensen from Mathew Sorensen on Vimeo.